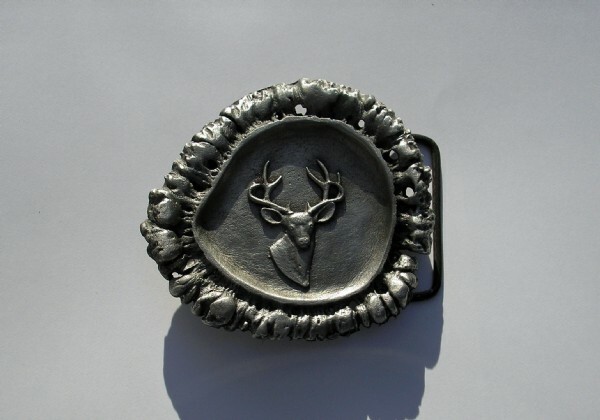 Pewter Cast Buckle of Mule Deer Head with Antler Shape Border copyright by Pilgrim Pewter, copyright design carved by Wildlife Artist Sid Bell. Measures Oval 2 1/4" x 2". Non Lead Pewter with 1 1/2" wire loop on buckle + separate 1 1/4" wire loop. Made in U.S.A.